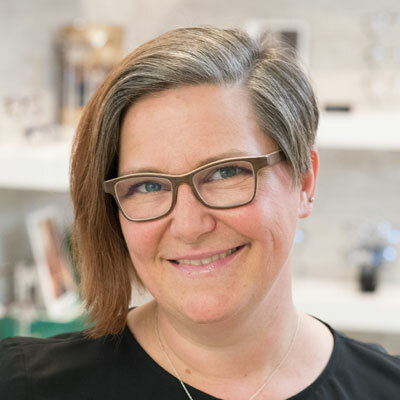 Lisa began her optometric career at FVC in 2016 but has had personal experience with glasses over the last 4 decades. Lisa has a degree in Physical Therapy from the University of Minnesota and has extensive experience in the field of Health and Human Services. She loves getting to know people and building relationships with the patients at Family Vision Clinic. Lisa and her wife Rachel moved to Savage in 2014. They enjoy hiking, backpacking and skating together. In her free time, Lisa plays roller derby with the Minnesota RollerGirls in St. Paul.